It’s the time of the year when money always seems to be going out faster than it comes in. According to the National Retail Federation, in 2016 the average U.S. shopper and spent a whopping $850 on festive gifts and expenses while braving the crush of holiday shoppers. And while you do get something from it, you could be getting more by taking advantage of these 6 cash-saving shopping tips to make your holidays happier. There are cheaper options and putting yourself in debt will not make for a happy holiday. If the budget is $100 but the total comes to $110, do not justify it: return it and select something else. Christmas is about the traditions and memories, not only the gifts. Every year there is a new version of everything. Rather than buying another version to add to the collection, look for one of the many places that offers a trade-to-upgrade option. Not only will you get the new version for less but you’ll also declutter the house. It’s the festive season and you are spending with a particular brand, they can show their appreciation by offering free shipping and many brands do. Take advantage of it. Coupons can really save you tons. Did you see that episode of Two Broke Girls when Caroline discovered the value of coupons and was making money by using them? Coupons can decrease the checkout bill dramatically. Everyone is using them and if you aren’t then you’re missing out on huge savings — just go to your favorite stores on DubLi.com and see what coupons you can take advantage of. Last-minute shopping often means you pay more and are stuck with fewer choices. It’s simple economics — supply and demand — and you are getting the bad end of the deal by not getting in early. The savviest shoppers take advantage of Black Friday and Cyber Monday savings so they can get better gifts at lower costs. 1+1= 2, right? But coupons + free shipping + Cash Back = a SUPER-SAVINGS Christmas! Get the most you can out of every dollar! It is your money and it can work for you (and this Christmas you can go out more than your cash!). 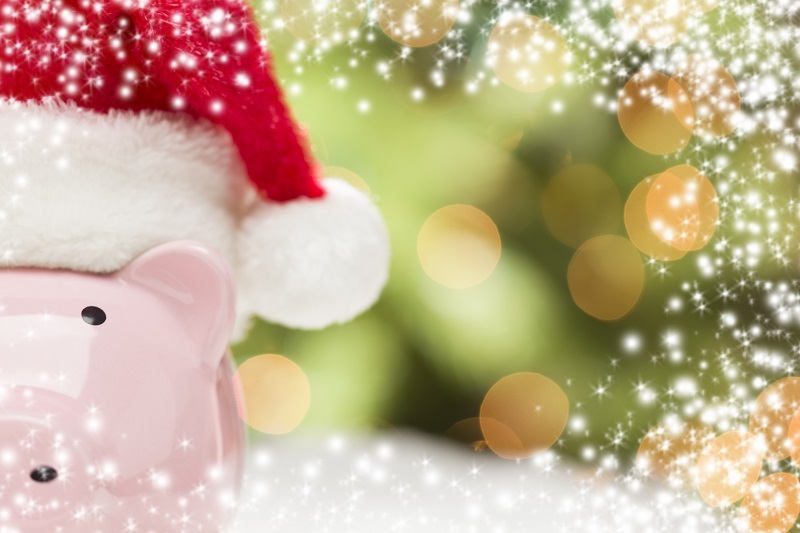 Christmas will be far more financially friendly this year if you follow these tips. Start now (early is best). Follow us on Facebook or sign up for the Newsletter to stay up-to-date with great offers from over 12,000 online stores at DubLi.com. Have a merry Christmas and happy holidays!